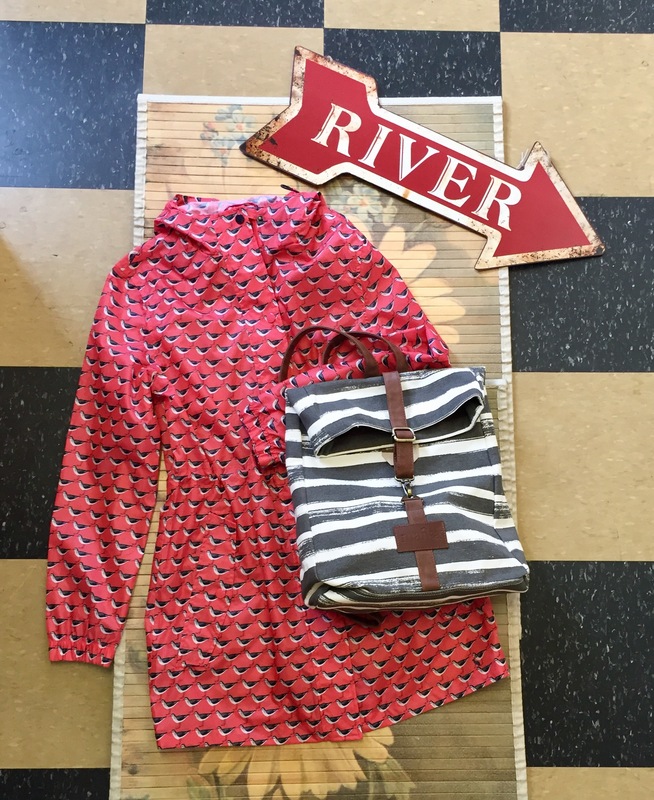 Sandpiper dotted raincoat and striped canvas backpack, you’re ready for April showers! 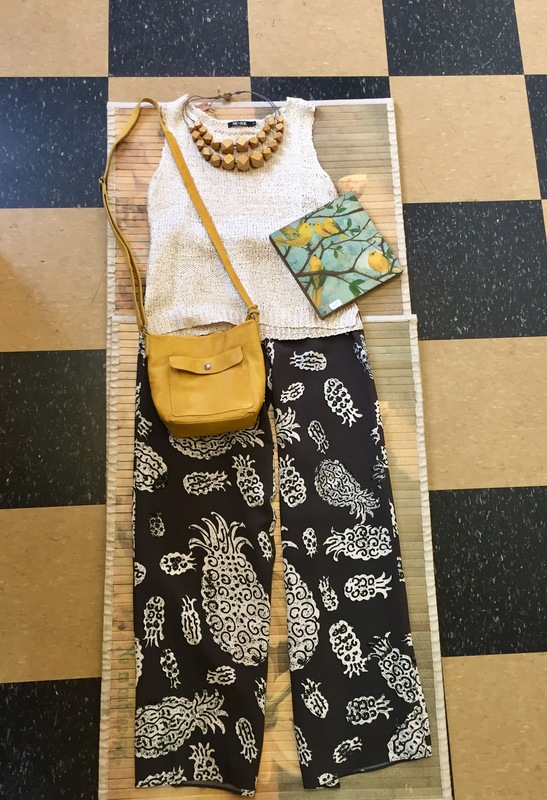 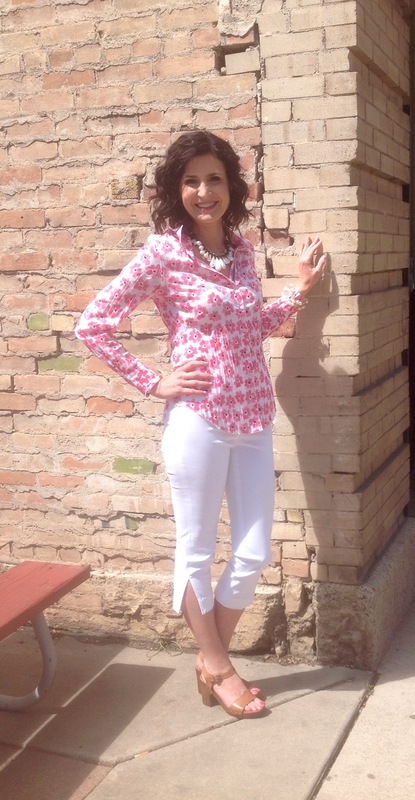 So fun, Nic+Zoe wide leg pineapple pants! 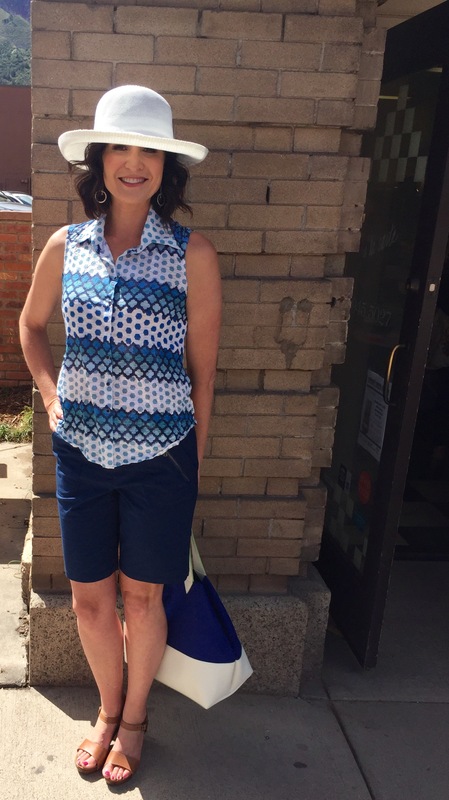 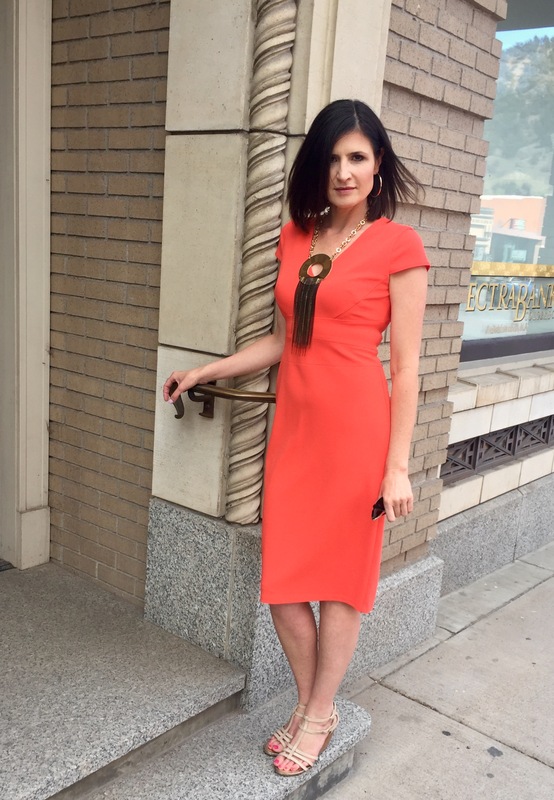 Perfect knit tank top and wooden bead necklace and you’re ready for a warm weather party. 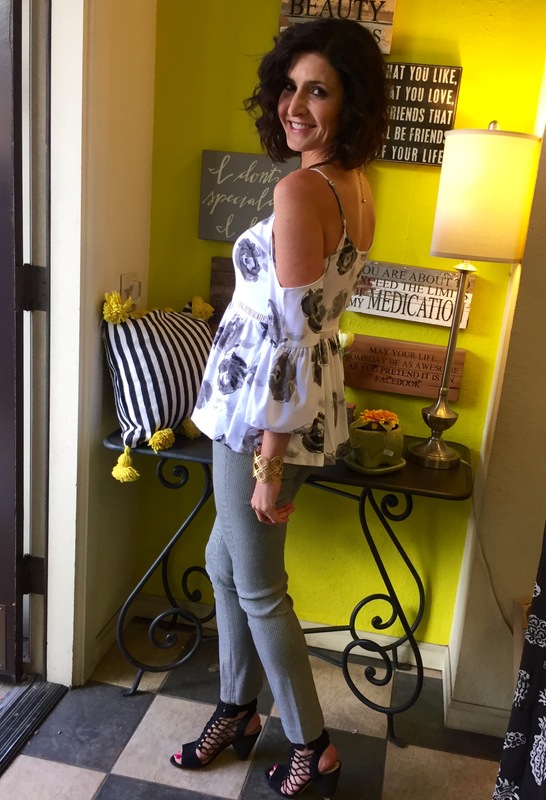 Kensie floral print cold shoulder blouse over tribal print pant. 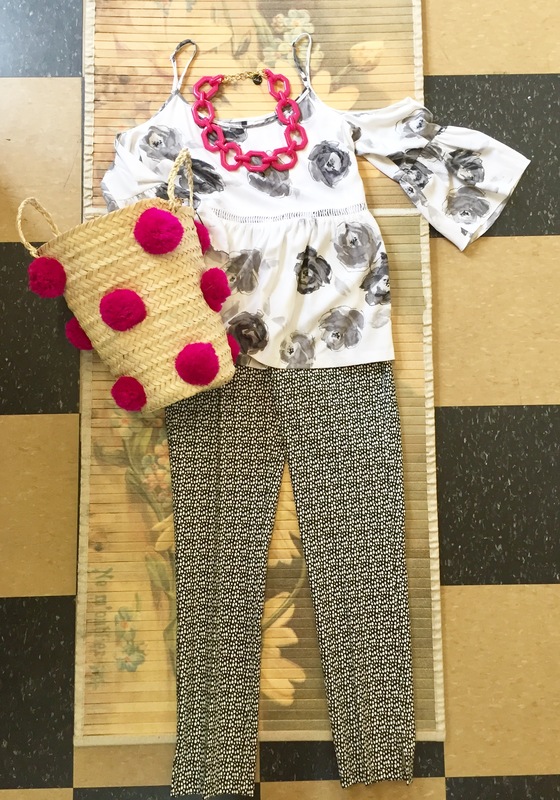 Don’t you love the pompon basket purse?